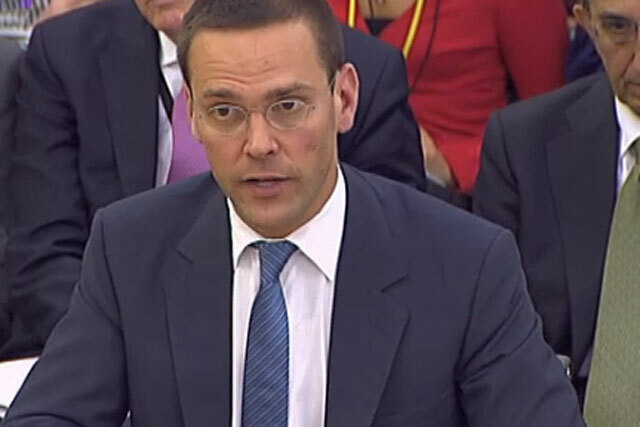 James Murdoch, News Corporation's international chief executive, responded to, but did not fully read an email that suggested phone hacking went beyond a royal reporter in 2008, according to evidence published yesterday (13 December) by a parliamentary committee. Murdoch has always claimed that until late last year, he did not know that the practice of phone hacking at the News Corporation-owned newspaper the News of the World extended beyond former royal editor Clive Goodman. In an email dated 7 June 2008 and published by the Culture, Media and Sport Select Committee yesterday, former News of the World editor Colin Myler told Murdoch, "Unfortunately, it is as bad as we feared", and asked for a meeting. The email correspondence was supplied to the select committee by News Corporation's management and standards committee, which held its own internal investigation into the affair. It related to the case of Gordon Taylor, the Professional Footballers' Association chief executive, who had evidence that his phone had been hacked by people working for the News of the World. Murdoch was at the time chairman of UK newspaper publishing arm News International, a position he retains, as well as that of deputy chief operating officer of News Corporation, and chief executive and chairman of News Corporation International. In his response to the email, three minutes later, Murdoch said: "No worries. I am in during the afternoon. If you want to talk before I'll be at home tonight after seven and most of the day tomorrow." The email from Myler included an email chain in which former legal affairs manager Tom Crone said the defence will accept that "we knew and made use of the voicemail information [private investigator Glen] Mulcaire acquired between Feb and July 2006". Crone also refers to a "further nightmare scenario" in which several of the voicemail transcripts may have been taken from the voicemail messages of Joanne Armstrong, the Professional Footballers' Association's in-house lawyer. In a letter from Murdoch to the select committee chairman Conservative MP John Whittingdale, dated yesterday, Murdoch said he was confident he did not "review the full email chain at the time or afterwards". Murdoch said he did not recall a conversation with Myler over that weekend and instead he "would have relied on the oral briefing on 10 June 2008 that I have previously described in my testimony before the committee". In the letter, Murdoch continued: "I would like to take this opportunity to reaffirm my past testimony that I was not aware of evidence that either pointed to widespread wrongdoing or indicated that further investigation was necessary." Although Goodman and Mulcaire went to prison for hacking into the phones of members of the royal household in 2007, it only emerged earlier this year that the phones of victims of crime such as Milly Dowler had been hacked. Crone and Myler dispute the assertion they did not make Murdoch aware that hacking went beyond Goodman and have told the select committee that it was "inconceivable" that James Murdoch did not know about wider hacking. The resulting storm led to News Corporation pulling out of its bid for the 60.9% of BSkyB it does not already own and closing the News of the World. Will Leveson inquiry damage newspapers?